* Rescheduled from November 2012 due to Hurricane Sandy. First Prize For A Second Chance Award – Novartis Pharmaceuticals Corporation, East Hanover “Recycling electronics is good, but extending their life cycle through RE-USE is great!” affirms Lawrence Kunz, manager, Environmental & Energy Management at Novartis. 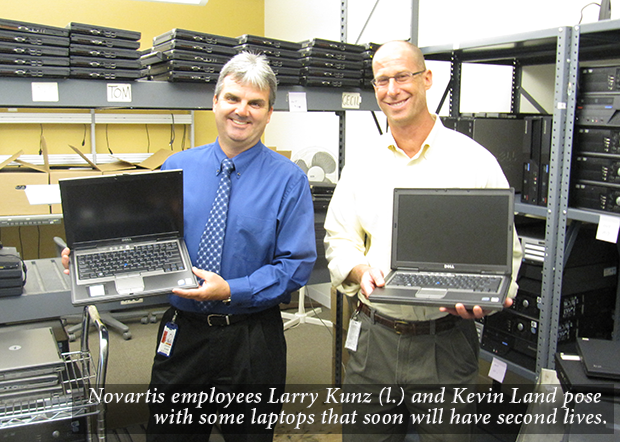 In 2011, Novartis shifted the focus of its e-waste program from recycling e-waste toward refurbishing/reusing that material and was able to insure that 62% of the generated e-waste was refurbished/re-used. The refurbishing/reusing of 66,000 pounds of electronics saved over 1.9 million metric tons of equivalent carbon dioxide (CO2) emissions in 2011. Novartis points to an EPA estimate that extending the life of equipment is at least 25 times more beneficial to the environment than recycling it. Nonetheless, Novartis recycles, too: 1,342.71 tons generated at the East Hanover facility were recycled during the first quarter of 2012. Cleanup Superstar Award – Pastor Sidney Williams, Bethel A.M.E. Church, Morristown “Whether it was the Rev. Williams’ attendance at our planning meetings, his outreach for community volunteers, or his active participation in the cleanup itself, his dedication to our shared objectives of ridding the river of trash and litter, recycling the recyclable material and preserving the watershed, his assistance and that of his congregation was invaluable,” said Art Vespignani, regarding a Whippany River cleanup on March 24, 2012. The cleanup occurred because of the major flooding caused by Hurricane Irene in the summer of 2011. “It is important that I lead members of our church and our community in environmental stewardship, and what better place than our own backyard. Our church was founded on the bank of the Whippany River and until the floodwater destroyed the lower level of our sanctuary, we hadn’t taken our responsibility very seriously. 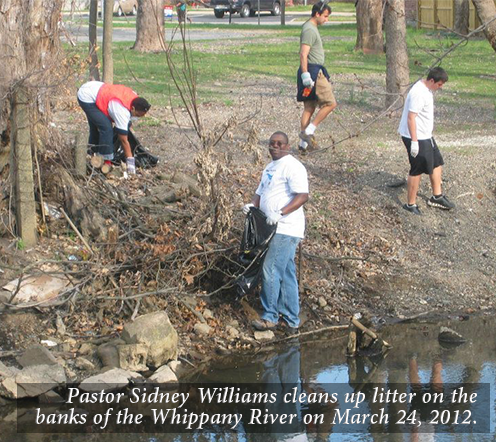 The river cleanup project was first of many steps we plan to take,” reflected Pastor Williams. Note: The cleanup netted 60 bags of trash and recyclables, 21 bicycles, two chairs, a computer keyboard and circuit board, three car batteries, one box spring, three tires, two small appliances, one shopping cart, one No Parking sign, and one crutch, as well as about 300 pounds of metal that were left on Patriot’s Path! McRex (Morris County Recycling Excellence) Award – Michael Petonak, Boonton During the 39 years he’s been employed by the Town of Boonton, Michael Petonak has worn many hats: superintendent of public works, Clean Communities coordinator, water system operator, sewer collection system operator, and deputy emergency management coordinator. A graduate of the N.J. 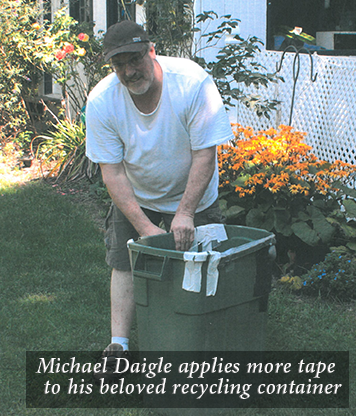 Recycling Certification Series, Michael has also volunteered for the Boonton Fire Department for 40 years. One recent feather in his cap resulted from implementing a recycling program at the Federal housing complex, where a request for an additional trash dumpster had been made (that’s how he learned that recycling was non-existent at the 60-unit complex). 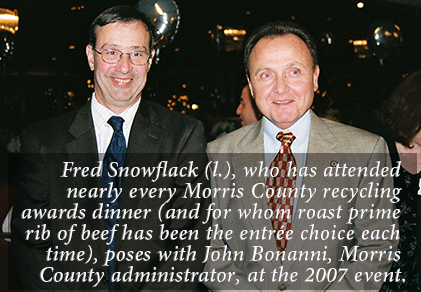 More recently, he oversaw the renovation of the Boonton Recycling Center in order to prepare for single-stream recycling. He and his DPW staff are justifiably proud of their updated center. 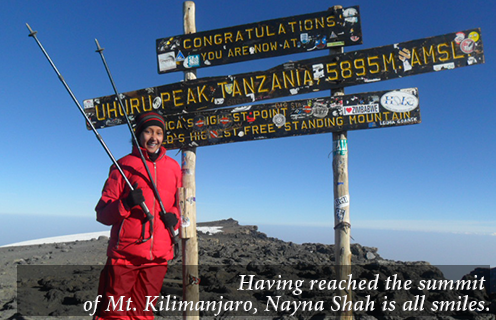 “I’ve been extremely fortunate to have had a career that’s been both fun and rewarding. It’s also been most gratifying to work with a team of people from elected officials to fellow employees who’ve striven to make our home a better place to live and to save our natural resources for future generations,” Michael said. Michael Daigle - A freelance journalist and writer (he’s working on a novel and short story collection), Michael worked for 15 years as a municipal and county reporter at the Daily Record. Michael reported on recycling-related matters during that time. He provided the following narrative about his green, plastic 55-gallon recycling container: “I’m having a contest with my trash company, whether they know it or not. I have been using the same green, plastic 55-gallon container for recyclables for maybe 10 years. The contest is who will give in: they, who have tried their best to smash the trash can, or I, who keep taping it up. It has been slammed around in the back of the trash collection truck weekly for that entire decade. It has been cracked, had the handles broken, and the rim smashed. And every time it gets close to being ruined, or ready for the recycling bin itself -- it is after all a #2 plastic item -- I tape it up. I’ve used cloth duct tape, and I’ve used metallic duct tape. I’ve used white duct tape, and I’ve used black duct tape, and I’ve used gray duct tape. It must make an impression. Even my kids who think that recycling means leaving their empty cans in the kitchen sink, tell their friends to do the same. And then they make fun of me. Oh well. I know it sinks in because the other day my grandson, the brilliant 20-month-old Aedan, took a folded spaghetti box off the counter and walked to the cellar door and pushed it open. Then he reached over the gate that is placed there, and threw the box downstairs toward the recycling bin, just as he had seen his father do.” Clearly Michael has a great sense of humor! Lawrence Ragonese Lawrence Ragonese is director of the press office at the New Jersey Department of Environmental Protection (NJDEP). Prior to joining NJDEP, he was employed by the Star-Ledger where he spent 26 years as a reporter, a columnist (he wrote about general topics related to Morris County and northwestern New Jersey), and assistant bureau chief of the Morris County Bureau. 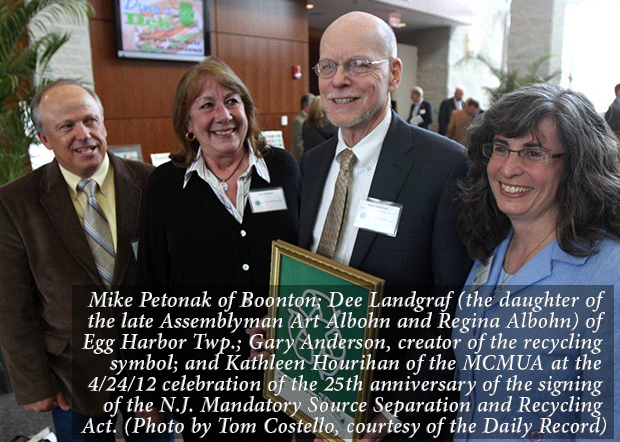 Of note: Lawrence wrote the article “Designer of recycling logo to be honored,” which was about Gary Anderson, creator of the three-chasing-arrows recycling symbol, who was a guest at the Morris County recycling awards dinner on Friday, November 5, 1999. The article was published in the Star-Ledger on that day and ran state-wide, which was thrilling for the MCMUA recycling staff. Lawrence provided the following thoughts about recycling: “I have the privilege of working for the New Jersey Department of Environmental Protection, where we ponder Big rules on Huge environmental issues every day. But I feel a most personal connection to protecting our environment through recycling. It’s a simple process that can be done right at home or in the office on a daily basis. 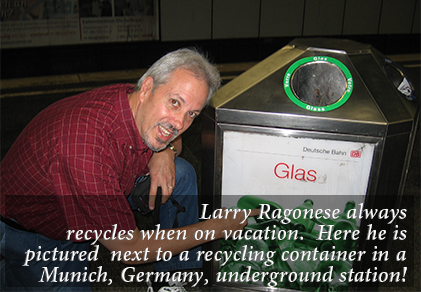 And it’s a family effort in the Ragonese household, where we all proudly recycle.” The voice of Lawrence, a.k.a. Larry Ragonese, reminds one MCMUA employee of the voices of both Brian Lehrer and Leonard Lopate, who host programs on New York Public Radio. Fred Snowflack For 25 years, Fred Snowflack plied his trade at the Daily Record. During the last 10 years there, he was editorial page editor. He is now an editorial writer with the Bergen Record. “There are no secrets when ‘Freddie’ is around; he can read your notes upside down!” commented an MCMUA employee many years ago. 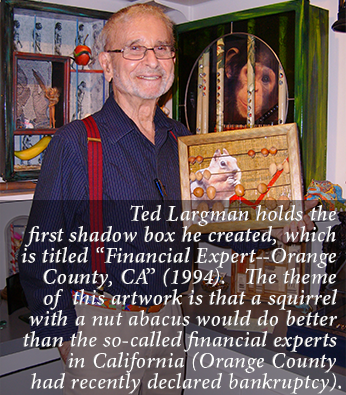 That, of course, was a not-so-subtle reference to the fact that Fred did his best to ferret out the facts. Fred provided the following commentary: “As I have often said when I run into people at this dinner, I vividly recall attending the first of these dinners in 1988. Things were different then, to say the least. Garbage was big news. 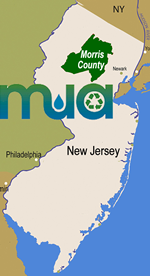 Landfills in New Jersey were closing, and counties were looking into building incinerators and/or landfills. Morris County at varying times explored both options. Both ran into intense opposition and ultimately, the freeholders came up with an ingenious solution. Just send garbage to Pennsylvania. So, two trash transfer stations were built to take garbage and ship it west, a practice that continues to this day. Recycling played a vital role. With tipping fees at one point in excess of $130 a ton, taking as much as possible out of the waste stream saved money. It was fun to write about garbage ‘back then,’ and it’s great to see that this dinner continues to prosper. I am honored to be getting an award, and I must also thank my old employer, the Daily Record, for giving me the chance to write about garbage in the first place.” There’s usually a discernable twinkle in Fred’s eyes! It’s S’cool To Be Green! 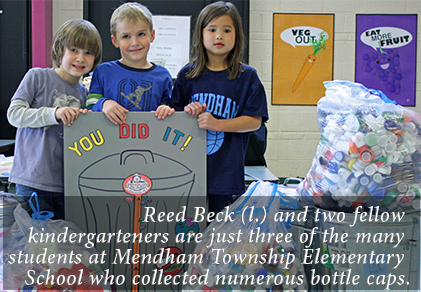 Award – Mendham Township Elementary School, Mendham Township Several years ago when her two sons attended Mendham Township Elementary School (MTES), Kim Crumrine became involved in some activities and projects that focused on nurturing the planet: a Rizzo’s Reptiles assembly program featuring a litter-abatement and recycling component; a recycling exhibit in the lobby display case; the creation of an outdoor education center and the composting of food waste; the formation of an MTES Green Team; a suggested environmental education component for teachers to use; the collection of Capri Sun® juice pouches to be sent to Terra Cycle. As is the norm, Kim’s sons grew older and moved on to the middle school. Enter Shelly Beck, whose son was a student at MTES. Shelly became chairwoman of the MTES Green Team. Assisted by third grade teacher Laura Gallagher, fellow parent Christine Veleber, and MTES Principal, Dr. Sandra Cullis, Shelly embarked on a journey. The first leg of the trip involved collecting used plastic bottle caps for the Aveda collection program. In just six weeks, the three kindergarten classes filled up three 10-gallon trash cans with bottle caps, thereby earning their first Penguin Ice Cream party, a waste-free celebration. Somewhere along the way, students applied many of the plastic bottle caps to large plywood shapes (a few examples: a ladybug, a butterfly, and a rainbow). The stunning, multi-colored designs hang on the cafeteria walls. Shelly also did research about landfills, after which she and her teammates gave presentations to all of the students about the importance of recycling. The team labeled all classroom wastebaskets as “Landfill” and put recycling symbols and pictures on the classroom recycling receptacles. 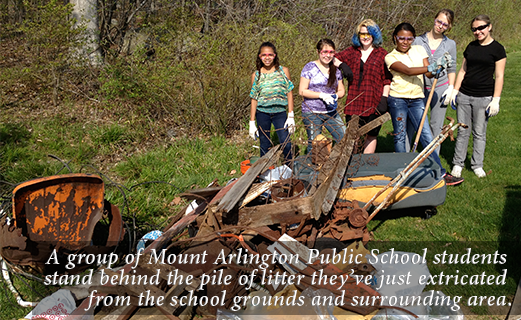 “It was refreshing to work with the MTES students because they sincerely care about the Earth and have not yet become ‘so busy’ that they don’t have time to do the little (and, not so inconvenient) things that can make such a big difference. In fact, the kids even have fun with it, and I believe it gives them pride knowing they’re doing something good,” said Shelly. She also complimented the entire staff (from the principal to the teachers to the custodians) for all of their assistance. “Seeing what the children at MTES accomplished in the past year, gives me hope and confidence that change will happen,” she noted. Take One: Action! 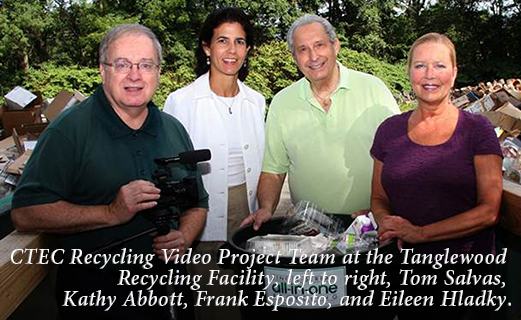 Award – Chatham Township Environmental Commission, Chatham Township Jennifer Mathews, one of the stars in the eight-minute video titled All-In-One, Single Stream Recycling is delighted that single-stream recycling has descended on the township: “We can put more out for recycling and less out for the landfill, and that’s great! All-in-one, single-stream puts us in a much better place for that to happen.” During 2011 when single-stream became available in the township, the Chatham Township Environmental Commission (CTEC) recognized the need to provide additional community outreach and education efforts about the program. Then, Tom Salvas, manager of governmental access TV, got to work, collaborating with several others (most notably, CTEC member Patricia Collington, said Tom) to produce the video, which was launched in January 2012 with posting on the Chatham Township and CTEC websites. Emails were sent to residents with a link to the video, and articles were posted on Chatham Patch and published in The Chatham Independent Press and Chatham Courier. In addition, a Chatham Township Committee meeting discussion about the video was broadcast on Comcast and FiOS cable channels, which reach more than 3,500 subscribers. Also, CTEC gave a DVD to the senior citizens center. Eileen Hladky, Chatham Township recycling coordinator, mentioned that many residents have had questions about how the single-stream materials are separated at ReCommunity Morris in Mine Hill, so she refers them to the video on the website, where they can see the separating in action. “It’s an important resource to help our residents understand the guidelines and be encouraged to recycle more materials,” she said. Indeed! Composting’s A Blast! Go, Rocket! Award – School District of the Chathams, Chatham Borough and Chatham Township In 2009, the Chatham Township Environmental Commission (CTEC) introduced their composting program known as “Save It To Spade It.” In 2011 a new component of that program was launched: the presence of a Rocket® Composter in the School District of the Chathams (SDOC). This resulted from CTEC’s receiving a Sustainable JerseyTM Grant in order to purchase the composter that is used for food waste from three of the district’s six schools. Writing about the first Rocket® Composter in a public school district in New Jersey, was Julie Lange Groth, ANJEC Report editor: “Take a bucket of garbage (food waste). Add a bucket of wood chips. Pour it into a sleek, cylindrical metal contraption and wait two weeks. Out comes dark, rich organic compost that’s ready to add life to the garden, green to the grass and vitality to the school curriculum.” John Cataldo, supervisor of SDOC buildings and grounds; Gasper Major, assistant supervisor of SDOC buildings and grounds; and Bob McBreen, manager of SDOC School Food Services, have been very involved in the composting project. Both Gasper and Bob are pleased that 3,478 pounds of food waste became compost in 2011, and that it’s been a great way to involve the children and to save the school district money because it now uses its homegrown compost on the grounds and avoids having to purchase it. 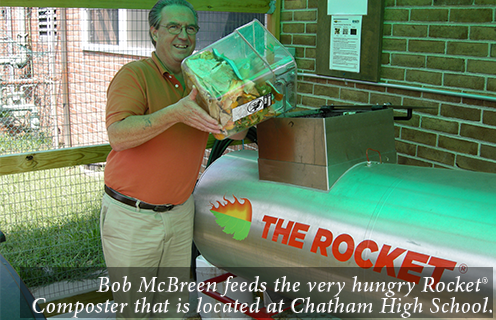 Gasper Major said he’s “glad to be part of such a great initiative that shows how SDOC is doing its best to help the environment.” Chatham High School Principal Darren Groh described the Rocket® as “a nice addition to SDOC and a constant reminder to the students and staff about the importance of recycling.” “We hope that other school districts and municipalities have the opportunity to move in this direction of sustainability,” offered Dr. Michael LaSusa, superintendent of schools. At the 2011 dinner, guests were mesmerized by the County College of Morris (CCM) models who wore garments made by fashion design students (in one case, the designer modeled her own creation). Another CCM crew is with us this evening--bravo! Then there’s Helen O’Keefe, MCMUA human resources officer, who is wearing another snazzy Leeza Tea Coco Chanel dress: a 1920s flapper-style dress made from the brightly colored cover of the August 2011 issue of Waste Age magazine, and outdated single-stream collection schedules for Mendham Township, accented with glittery lime green ribbon (eat your heart out, Daisy Buchanan!). This year Miranda “Maize” McMua is truly a golden goddess! Leeza Tea (L.T.) has outfitted her in a dress made from corn husks. Eight of L.T.’s family members husked over 250 ears of corn to provide the “fabric” for the dress, whose bodice features a large sunflower (look at the golden beans in the center--they, of course, represent yummy, nutritious sunflower seeds). According to Wikipedia, the sunflower is “often used as a symbol of green ideology, and it is the symbol of the Vegan Society.” A huge thank you to Lindekin Farms in Jefferson Township for donating the corn. Thanks to Wharton Costco for donating the fruit and vegetables that are nestled in used and reusable glass vases, as well as to Don Budis (a.k.a. Abe Lincoln) and Sylvia Banbor, both of Rockaway Borough, for rounding up many of the vases. Once again, Shot of Redemption is providing live music. To book the duo for an event, call 845-255-3177. Making their second appearance at an MCMUA dinner are Stephen Ringold and Kim Winslow, two fabulous performers. For more info about The Grand Falloons, visit www.grandfalloons.com. To learn more about and perhaps donate to the CCM Foundation, which provides more than $200,000 in funding to nearly 80 scholarships every year, visit www.ccm.edu, and search for CCM Foundation. Please visit www.njfoodbank.org to make a contribution, or donate to a local food bank.